GSO's Super-Plossl eyepieces have been some of our most popular sellers over the years. Users will experience incredible views without breaking the bank or impinging on your telescope's balance. They represent what is perhaps the best buy today for astronomers on a budget or for beginners. But don't be fooled by their low prices - these might well turn out to be all the eyepieces you will ever need! The GSO Super-Plossls are available in a 1.25" barrel size and 9 different focal lengths ranging from 4mm to 40mm. 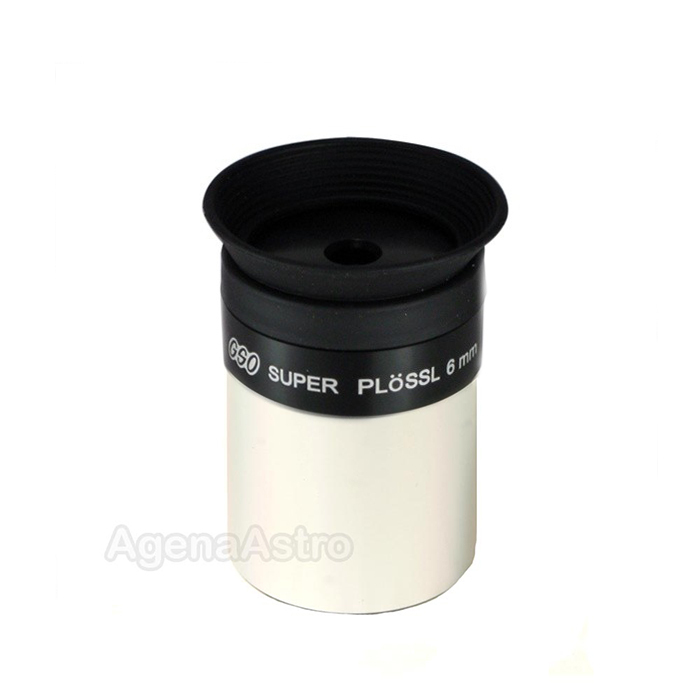 The 4mm, 6mm and 9mm models are great for high power planetary and lunar observation. The 12mm and 15mm are perfect intermediate focal lengths, performing well on both deep-sky and planetary subjects. The 20mm and 25mm models would be excellent choices for low power scanning of open star clusters and viewing larger galaxies. The 32mm and 40mm models offer a wide field and are superb for wide field scanning, detailed observations of large diffuse subjects or as a finder eyepiece.